Changes to Site. 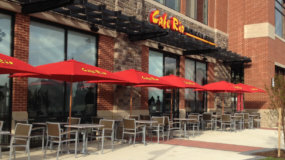 Cafe Rio may change or discontinue any aspect, service or feature of the Site at any time, including, but not limited to, content, hours of availability, and equipment needed for access or use. Equipment. You are responsible for obtaining and maintaining all connectivity, computer software, hardware and other equipment needed for access to and use of the Site and all charges related to the same. Order Placement. For certain Cafe Rio locations, you may place orders online through Your Account for Cafe Rio menu items. All menu items may not be available at all locations. The Cafe Rio location selected by you when you place your order is responsible for fulfilling your order and for communicating with you regarding your order. Payment and Billing. Prices and fees will be identified as you place your order. The full cost of all items will be paid for using the credit or other payment card information provided at the time of placing the order. You acknowledge and agree to assume all liability for any order placed using Your Account and authorize Cafe Rio to charge the amount specified at the time of the order using such payment information provided and agree to pay the full cost for all items, regardless of whether you actually receive the items. Digital Millennium Copyright Act ('DMCA') Notice. The Digital Millennium Copyright Act of 1998 (the "DMCA") provides recourse for copyright owners who believe that material appearing on the Internet infringes their rights under U.S. copyright law. If you have a good faith belief that materials hosted by Cafe Rio infringe your copyright, you (or your authorized representative) may send Cafe Rio a notice requesting that the material be removed, or access to it blocked. The notice must include the following information: (a) a physical or electronic signature of a person authorized to act on behalf of the owner of an exclusive right that is allegedly being infringed upon; (b) identification of the copyrighted work claimed to have been infringed upon (or if multiple copyrighted works located on the site are covered by a single notification, a representative list of such works); (c) identification of the material that is claimed to be infringing or the subject of infringing activity, and information reasonably sufficient to allow Cafe Rio to locate the material on the site; (d) the name, address, telephone number, and e-mail address (if available) of the complaining party; (e) a statement that the complaining party has a good faith belief that use of the material in the manner complained of is not authorized by the copyright owner, its agent, or the law; and (f) a statement that the information in the notification is accurate, and under penalty of perjury, that the complaining party is authorized to act on behalf of the owner of an exclusive right that is allegedly infringed. If you believe in good faith that a notice of copyright infringement has been wrongly filed with Cafe Rio against you, the DMCA permits you to send Cafe Rio a counter-notice. Notices and counter-notices must meet the then-current statutory requirements imposed by the DMCA; see http://www.copyright.gov for details. Notices and counter-notices with respect to the Website should be sent to Cafe Rio, Inc., Attn: Legal Counsel, Kirton McConkie, 1800 World Trade Center, 60 E. South Temple, Salt Lake City, UT 84111, termsofuse@caferio.com. Cafe Rio suggests that users consult their legal advisor before filing a notice or counter-notice. Also, be aware that there can be penalties for false claims under the DMCA. 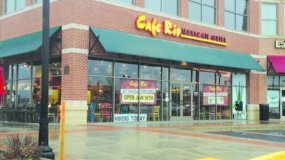 It is Cafe Rio's policy to terminate relationships regarding content with third parties who repeatedly infringe the copyrights of others. Interactive Site Areas. The Site may contain comments sections, discussion forums or threads, or other social media and interactive features(collectively "Interactive Areas") in which you may post, publish, link, or upload user-generated content, including but not limited to comments, video, photos, messages, other materials or items (collectively, "User Content"). You are solely responsible for your use of any Interactive Areas and you use them at your own risk. Through your use of Interactive Areas, you may be exposed to content that you may find offensive, objectionable, harmful, inaccurate or deceptive. There may also be risks of dealing with underage persons, people acting under false pretense, or other unwanted interactions. By using Interactive Areas, you assume all associated risks. User Rules of Conduct. By submitting any User Content or participating in an Interactive Area within or in connection with the Site, you agree not to engage in activity or submit or upload content that (i) would constitute a violation of any applicable local, state, federal, or other law that may constitute a criminal offense or give rise to civil liability; (ii) contains any information, data, or materials which contain a virus or other harmful or disruptive component; (iii) is confidential, proprietary, false, fraudulent, libelous, defamatory, invasive of privacy or publicity rights, obscene, lewd, violent, sexually explicit, threatening, abusive, illegal, or otherwise objectionable; (iv) infringes on another's intellectual property rights; or (v) contains any unsolicited or unauthorized advertising or promotional materials with respect to products or services, "junk mail," "spam," or any other solicitation. Third Party Site Third Party Sites. Certain aspects of, or links contained on, the Site may link to websites, social media, or services operated by parties other than, and unaffiliated with, Cafe Rio. Such links are provided for convenience only. Cafe Rio does not control such third-party websites or social media and is not responsible for any content thereon, including with respect to any comments posted on such third-party websites or social media. 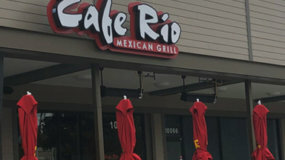 Cafe Rio's inclusion of links to such third-party websites and/or social media does not amount to or imply any endorsement or warranty of the material on such sites or media or any association with their owners or operators. You agree that Cafe Rio is not responsible for any such third-party websites or social media and services or any content thereon and agree to hold Cafe Rio harmless from any and all claims or liability arising from your use of such third-party websites, social media, or services. Any concerns or questions related to third-party websites or social media should be directed to the webmaster or other appropriate contact person for such third party. You may be given the opportunity to register online to create a user account ("Your Account") that may allow you to receive information from Cafe Rio and/or to participate in certain feature on our Site, including Interactive Areas. 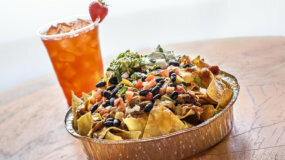 As part of the creating Your Account, you will be required to provide Cafe Rio with certain registration information, all of which must be accurate and updated, and which may include, without limitation, an authorized contact person's name; business address; business phone number; facsimile number; e-mail address; etc. You hereby agree to maintain as confidential and not disclose any username or password to any person. Cafe Rio may change your password at any time, provided that Cafe Rio shall provide you with written notice of such change prior to, or as soon as reasonably practicable after, such change. 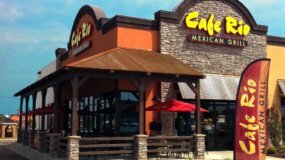 You agree and acknowledge that under certain circumstances, Cafe Rio may store your IP address(es) or other information transmitted by your computer(s) or network as are reasonably necessary for Cafe Rio to identify you and provide access to the Site. You assume full and total responsibility for all usage or activity on Your Account, including use of Your Account by any third party, whether or not authorized by you, and agree to indemnify and hold Cafe Rio harmless from any claims arising from or as a result of such usage. 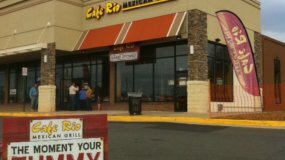 You shall immediately notify Cafe Rio of any known or suspected unauthorized use of Your Account, or any known or suspected breach of security, including loss, theft, or unauthorized disclosure of Your Account information and agree to fully cooperate with Cafe Rio in good faith and as reasonably required to remedy such security breach. Representations and Warranties; Disclaimer of Warranty. YOU EXPRESSLY AGREE THAT USE OF THE SITE IS AT YOUR SOLE RISK. 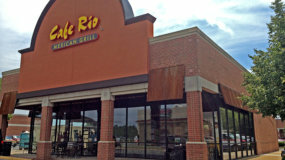 NEITHER CAFE RIO, ITS PARENT, SUBSIDIARIES, ITS OTHER AFFILIATES NOR ANY OF THEIR RESPECTIVE EMPLOYEES, REPRESENTATIVES, AGENTS, THIRD PARTY CONTENT PROVIDERS OR LICENSORS WARRANT THAT THE SITE WILL BE UNINTERRUPTED OR ERROR FREE; NOR DO THEY MAKE ANY WARRANTY AS TO THE RESULTS THAT MAY BE OBTAINED FROM USE OF THE SITE, OR AS TO THE ACCURACY, RELIABILITY OR CONTENT OF ANY INFORMATION, SERVICE, OR MERCHANDISE PROVIDED THROUGH THE SITE. Unauthorized Access. Cafe Rio disclaims any and all liability of any kind for any unauthorized access to or use of your personally identifiable information. By accessing the Site, you acknowledge and agree to Cafe Rio's disclaimer of any such liability. If you do not agree, you should not access or use the Site.